The New Zealand Catholic bishops and religious orders have welcomed the inclusion of faith-based institutions in the New Zealand Government’s expanded inquiry into the historical abuse of children. On Monday 12 November 2018, the prime minister Jacinda Ardern stated that Cabinet agreed to expand the inquiry to include faith-based institutions. The inquiry will be called the Royal Commission into Historical Abuse in State Care and in the Care of Faith-Based Institutions. The royal commission into state-care abuse has been in a preliminary process since February this year. It received over 400 submissions on the draft Terms of Reference. 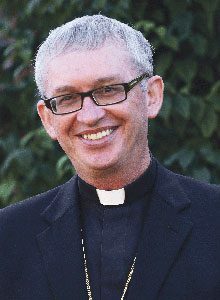 Bishop Patrick Dunn, President of the New Zealand Catholic Bishops Conference – Te Huinga o ngā Pihopa Katorika o Aotearoa (NZCBC), said the Catholic Church in New Zealand sought to be included before the November 12 announcement. ‘The view we expressed during the consultation was that it would be wrong if some individuals were excluded from the inquiry simply because their path of referral to an institution was different from someone else’s. We reaffirm our support and our desire to learn from this national undertaking, which we are confident will contribute positively to the strengthening and safeguarding of our families, communities and society,’ Bishop Dunn said. Ms Ardern said the inquiry would look into all forms of abuse including physical, sexual, emotional and psychological abuse, and neglect as well as inadequate care or improper treatment that resulted in serious physical or mental harm to the person. As well as investigating churches and religious schools the inquiry will include youth detention centres, psychiatric hospitals and orphanages, as well as any government care services contracted out to private institutions. Prisons and sports organisations would be excluded. Cabinet also confirmed the four other members of the inquiry to serve with the chair Rt Hon Sir Anand Satyanand. They are: Ali’imuamua Sandra Alofivae, MNZM; Dr Andrew Erueti; Paul Gibson; and Judge Coral Shaw. The inquiry is expected to cost $78.85 million over a four-year period, which will include more than $15 million to provide counselling and related support to participants. The first interim report, which is focused on state care abuse, will be reported back by the end of 2020, while a separate report will focus on the abuse of children in faith-based institutions. The inquiry will begin hearing evidence in January 2019. A final report of the Royal Commission’s findings will be submitted to the Governor-General in January 2023. 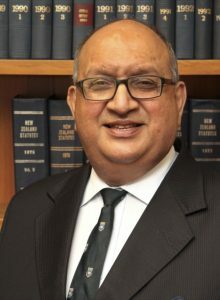 Sir Anand Satyanand. Photo: Wikipedia. The New Zealand Catholic Bishops Conference and the Congregational Leaders’ Conference Aotearoa New Zealand have recently established a support group called Te Rōpū Tautoko. The group’s purpose is to ensure the Catholic Church provides a co-ordinated and co-operative response to the Commission from the Church’s many dioceses, congregations and institutions in this country. The National Office for Professional Standards (NOPS) says it welcomes the news the Church will be included within the scope of the Royal Commission. ‘Our office is waiting for clarification of the details of the Commission, following which we will support the work of Te Ropu Tautoko,’ NOPS Director, Virginia Noonan, said. To contact the National Office of Professional Standards, email prof.standards@nzcbc.org.nz or phone 0800 114 622. 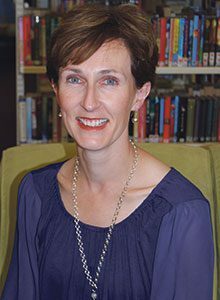 Network of Survivors of Faith-based Institutional Abuse spokesperson, Liz Tonks, responds to the announcement the scope of the Royal Commission of Inquiry into Historical Abuse in State Care will be extended to include those abused in faith-based institutions. The Network has some concerns about a lack of definition in the Terms of Reference. The Network represents those abused in faith-based institutions and their supporters. Our primary purpose is to prevent this abuse happening to others and to end the trauma our victim survivors have experienced from being left in silence, unacknowledged and not having received justice. Network members in New Zealand and abroad have been advocating for the Government to extend the Terms of Reference for the Royal Commission to include all victim survivors abused while in ‘out of home care’ in church institutions. This group forms the majority of those abused as children. They need the safety and support of a Royal Commission to report what happened to them to have acknowledgement, justice and to inform the changes required to prevent future abuse. When the Prime Minister, the Children and Internal Affair’s Minister and chair of the Royal Commission announced the Cabinet decision to extend the scope of the Commission to include faith-based institutions, the overwhelming reaction and feedback of our Network was one of relief and optimism that there would be justice and the opportunity to protect children in the future. Doubts were raised when the Terms of Reference released did not reflect the statements that had been made at the press conference on 12 November 2018. They do not clearly state what is meant by ‘in the care of faith-based institutions’. The majority abused in the Catholic Church institution were entrusted, by their parents, into the care of clergy and non-ordained religious in pastoral roles within the institution. They included school boys and girls, altar servers and choir members amongst others. This is also true for the majority of Catholic Māori and Pasifika children who suffered abuse. The Terms of Reference suggest these victims may not be included. We also have concerns about those abused after 1999 not being included; and if abuse is still happening today in any context. The job of the Royal Commission’s legal team is not to decide who and what they should include. That is the job of Cabinet and the Minister. Victims who were abused as children in faith-based institutions will now be faced with another legal process to have justice. Their inclusion will rely on the legal counsel of the Royal Commission and his discretion and interpretation of what is not defined in the Terms of Reference. Victims in our Network will not have direct access to that process nor the emotional or financial resources to navigate it. We cannot understand why reassurance of their inclusion is not being given and the Terms of Reference not amended by the Government to support the decision it announced. We are very disturbed that victims of abuse in faith-based institutions are being subjected to this further trauma. We hope the churches use their influence and publicly support any victim of abuse in any part of their institution.